The Space Eagle is a Solar Exploration Vehicle that is simple rocket to build and finish. Just another fine Estes Flying Model Rocket to add to your collection. 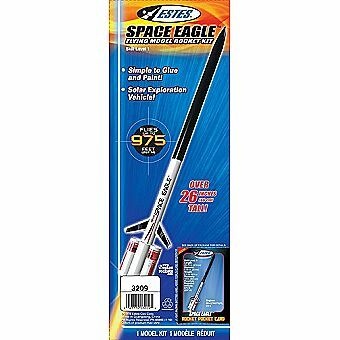 Standing over 26 inches (66 cm) this rocket is sure to be a crowd pleaser.